This weekend I bought 1 kg of apricots. I realized I couldn't just eat 1 kg of apricots on my own so I thought of something to make with them. I realized my favorite apricot dessert was tarts so I decided to go for that. But I didn't want just a simple apricot tart. 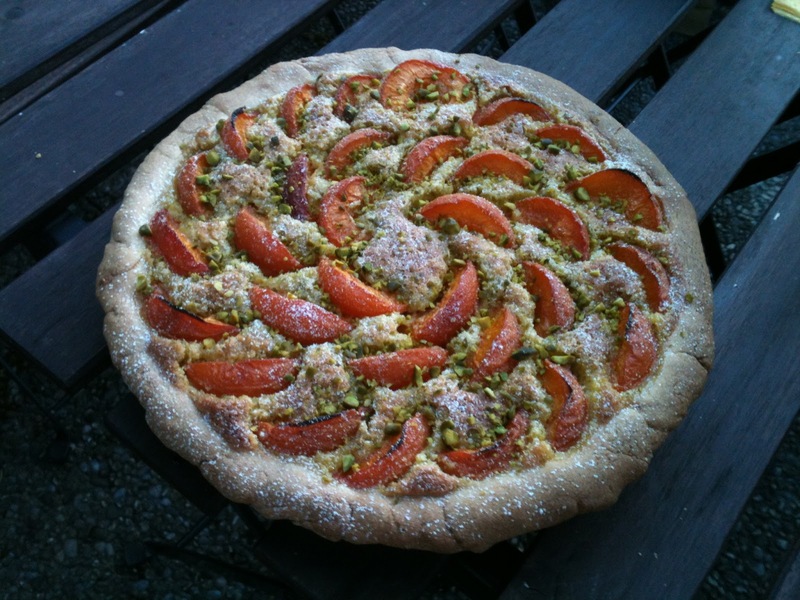 I had read some recipes where they were saying that pistachios match well with apricots so I went for an apricot-pistachio tart. 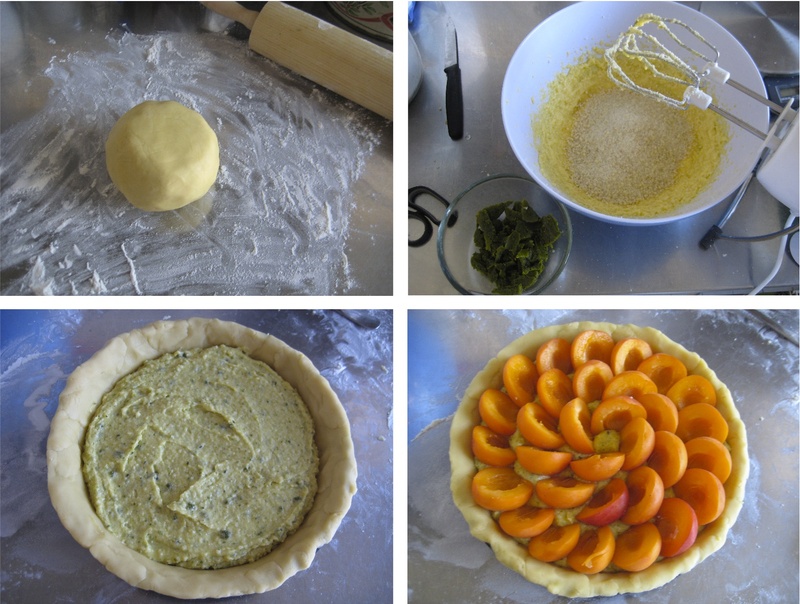 If you don't like pistachios, you can just skip them in the recipe and you'll have an apricot-almond tart instead, which is equally good. Replace the chopped pistachios with almonds et voila. Bon app! Whip up the butter. Add sugar and whip (cream it). Add the egg and mix. Finally add the flour, mix fast and make the dough. Cover it and refrigerate for about 30 min. Whip up butter along with sugar. Add eggs one by one while beating. Add the ground almonds and mix. Add the pistachio paste and mix well. Take out the dough from the fridge and roll it out to approx. 5 mm thickness. Transfer to a 22 cm tart pan (that has been buttered and flowered). Pinch it with a fork. 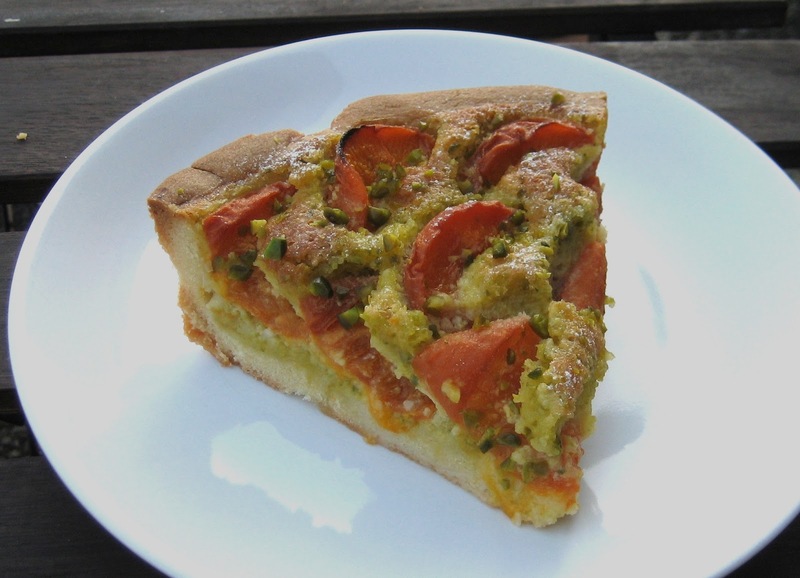 Spread the almond-pistachio cream on the dough. Add apricots cut in halves. Bake in the oven 1hr at 180 C°. Decorate the tart with some powder sugar and chopped pistachios. Enjoy it warm or cold! Personally tried this out in the States and can attest to its deliciousness! Ran into some difficulty finding apricots here so I swapped that fruit out for plumcots. They are a little more sour than apricots but balanced nicely with the sweetness of the pistachio paste.